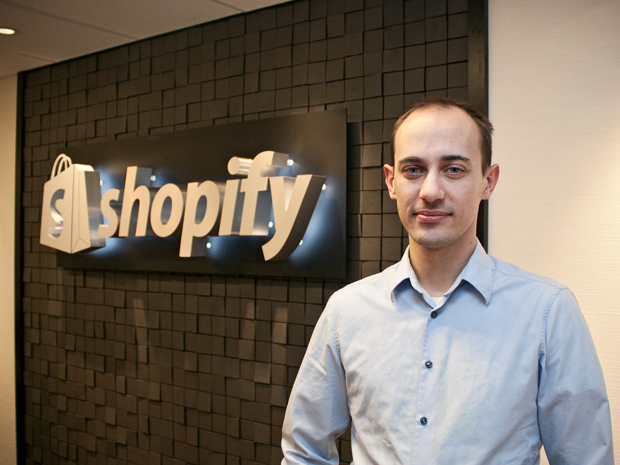 Black Friday brought a special surprise for Shopify founder Tobias Lutke, as he was named Canada’s latest billionaire! While Jeff Bezos of Amazon became the first billionaire to hit the $100 Billion mark after Microsoft’s Bill Gates achieved a similar feat way back in 1999; Lutke reached a net worth of $1.1 Billion thanks to the same occasion – Black Friday. Online retail has never looked better. This German born programmer who set up Shopify in Ottawa, Canada has written his own success story this Black Friday with his retail platform. With a retailer base of over 500,000, his shares managed to register a massive 3% jump in the past few days following what it would historically call, the Best Black Friday ever! So just how did Lutke manage to achieve this feat? Here’s how he managed to mint his way to success. “I care about working on interesting problems.” This is one of the main measures of his success, and the success of any entrepreneur. Canada’s latest billionaire also followed this to the T, as one can see from the statement quoted. He basically took a problem and turned it into purpose. From this, he was able to build an action inducing solution in terms of a platform for retailers. Therefore, lesson one: Problem = Purpose. He talks about Shopify as the “gift that keeps on giving,” because it has managed to far exceed the problem to serve a number of purposes for the retailer who was grappling with a list of the various collateral required to successfully run an online and fully automated business. Canada’s latest billionaire tapped into unarticulated needs and literally turned it not only into his mainstay – but his mainframe! He built the platform on what he calls, a “suspicion” that it was just what the world needed in the digital sense, at that point – a suspicion that paid off exceedingly well for Canada’s latest billionaire. Before he knew it, this well received platform had managed to reach the global stage. On a closing note, here is what Lutke believes to be the essence of a winning entrepreneurial spirit – there are two kinds of energy that you can use as investment for fixing your problems and creating an enterprise. Time and money. Time can be invested into things that can earn money, while money can be invested back into the whole gamut, for a “gift that keeps giving.” Sounds like a fitting start point!